Why would senior officials in Monaco not be corrupt when their ruling monarch, who sets the standard for his ministers, courtiers and subjects, is the most corrupt of all? In addition to his role as Prince of Monaco, Albert is a long-standing member of the International Olympic Committee (IOC). The IOC has a Code of Ethics. 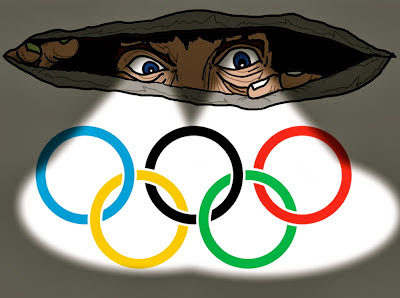 It is forbidden for IOC members to take gifts from countries competing for Olympic sites. It is mandatory that any such gifts be declared. So, when Albert accepted a very generous gift from Russia, which was competing for the 2014 Winter Olympics, he clearly violated the IOC’s Code of Ethics. The gift: a whole house i.e. a dacha (traditional summer home) built by Russian laborers at Roc Agel, Albert’s private farm. Albert voted Sochi for the Winter Olympics. Yes, prosecute Philippe Narmino (disgraced ex-chief of judicial services), prosecute Paul Masseron (disgraced ex-interior minister), prosecute Dmitry Rybolov (disgraced Russian billionaire owner of AS Monaco) for corruption. 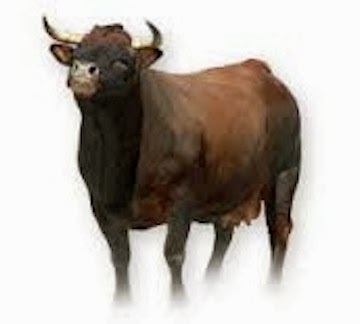 But the buck doesn’t stop with Narmino, Masseron, and Rybolov. It was Albert who made it all possible! It was Albert who showed them the way. It was Albert who opened the door to corruption in Monaco on an ultra-grand scale. 1. Unless I have indicated otherwise, the statements I make are within my own knowledge. 2. Between 2002 and 2008, I served as H.S.H. Prince Albert II of Monaco’s intelligence advisor and established and directed the Monaco Intelligence Service. In this capacity and through several investigations, I became aware of and tried to combat a growing invasion of Russian organized crime and corrupt officials pouring into Monaco and influencing its politics. Through my intelligence operatives inside Russia, I was informed of the details of Russian intelligence services’ profile of Prince Albert and their plan to place or compromise key people within Prince Albert’s friends and advisors with the aim of influencing and directing his decision-making. 3. Through my intelligence sources and operatives in Russia and Monaco, I have learned that several of Prince Albert’s aides and advisors have developed business interests with Russians of high government position and individuals suspected of involvement with Russian organized crime. 4. During several meetings I warned Prince Albert about Russian designs to influence him and my concerns that certain of his aides and advisors have been compromised by corruption or conflicts of interest. 5. 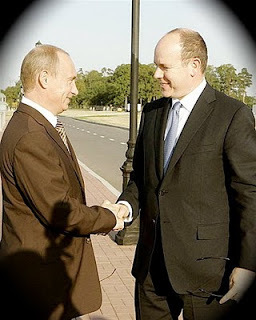 In 2006, Sergei Pugachev was trying to develop personal and business ties with Prince Albert and to buy Monegasque nationality. At Prince Albert’s request, I investigated Mr. Pugachev, a Russian with interests in banking, industrial and commercial properties. In my investigation I learned that Mr. Pugachev was a member of Vladimir Putin’s inner circle and had links to Russian organized crime. Separate and independent from my investigation, Monaco’s police force also investigated Mr. Pugachev and concluded he had links to Russian organized crime. 6. Prior to Prince Albert’s North Pole Expedition, on 10 April 2006, I emailed Prince Albert’s Chief-of-Staff, Jean-Luc Allavena, a memo on how Russian intelligence will spy on the entourage. Mr. Allavena was to brief Prince Albert on the memo. In particular I warned that any intimate socializing with men or women would likely be video-recorded to be used later as “leverage.” I was particularly concerned for Prince Albert who frequently engaged in intimate socializations. In order to protect him, I had obtained reports from foreign intelligence agencies in which surveillance caught Prince Albert with men and women. I worried that the Russians would obtain similar surveillance and use it to influence the Prince. RUSSIAN officials sent a team of builders to Monaco to erect a three-bedroom "dacha" in Prince Albert's garden earlier this year as a sign of the growing friendship between Moscow and the tiny principality on the Riviera, according to sources close to the palace. The simple wooden building has the function of a pool house at Albert's estate in the hills behind Monte Carlo and reflected growing bonds with Moscow that have helped to turn Monaco, a glamorous tax haven, into the favourite playground of Russians. Albert's spokesman declined to comment but a former adviser saw the dacha as evidence of the warm friendship that has developed between the 50-year-old bachelor prince and Vladimir Putin, 55, the Russian prime minister. The two spent a week together last summer, fishing and hunting in Siberia, where the Russian leader was photographed posing without his shirt. Albert was given two freshwater seal pups from Lake Baikal. They met again last month in St Petersburg, when Putin thanked Albert, a member of the International Olympic Committee, for supporting Russia's bid to host the winter Olympics in the Black Sea port of Sochi in 2014.